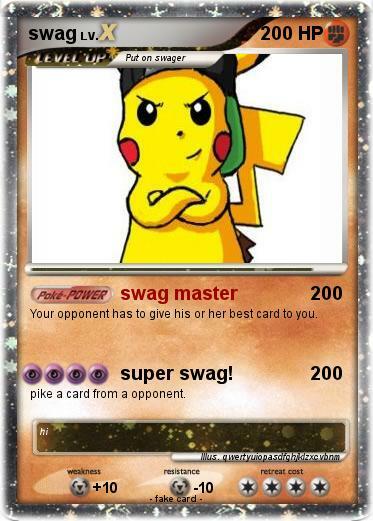 Your opponent has to give his or her best card to you. Attack 2 : super swag! pike a card from a opponent.